Nitro VRT is the essence of the state of the art. 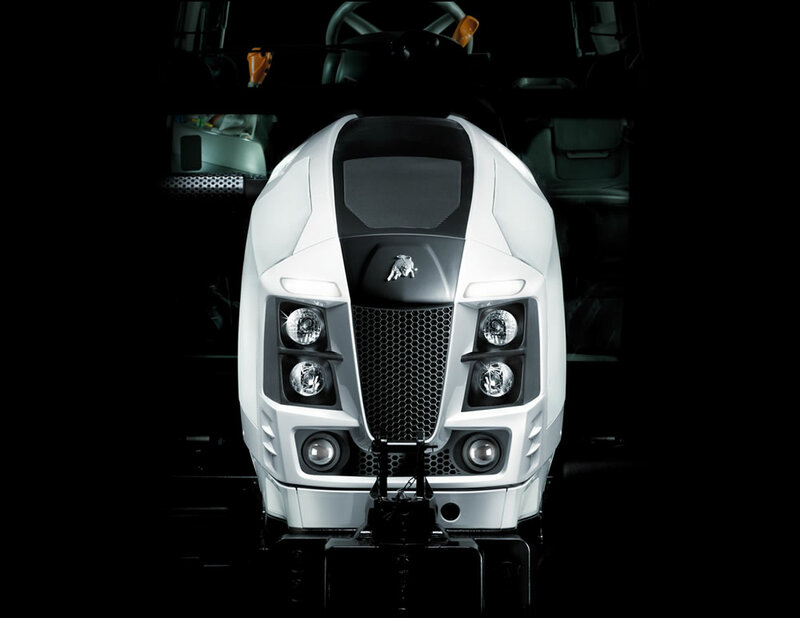 A revolutionary tractor with a CVT transmission which fuses extremely innovative technology with inimitable Lamborghini style. 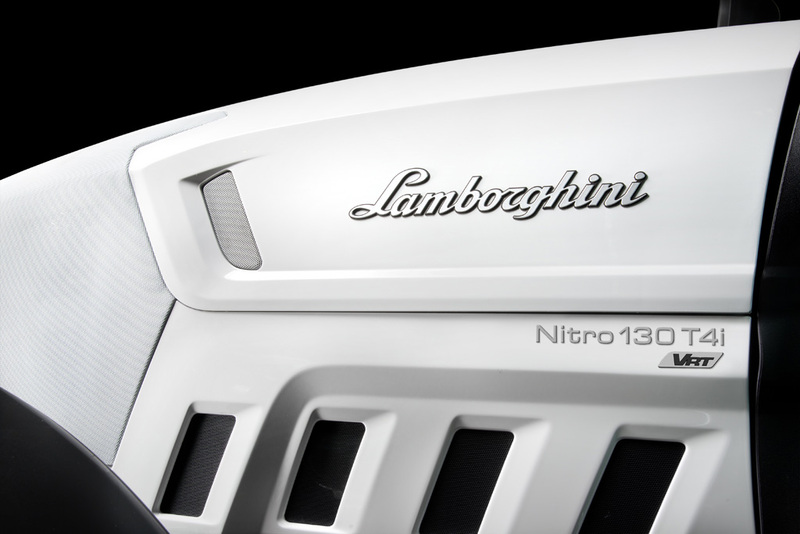 Emblematic of elegance but also of strength and reliability the Lamborghini Nitro VRT meets any challenge. Style by Giugiaro Design with exclusive colours. VRT transmission for fully automated ratio selection. 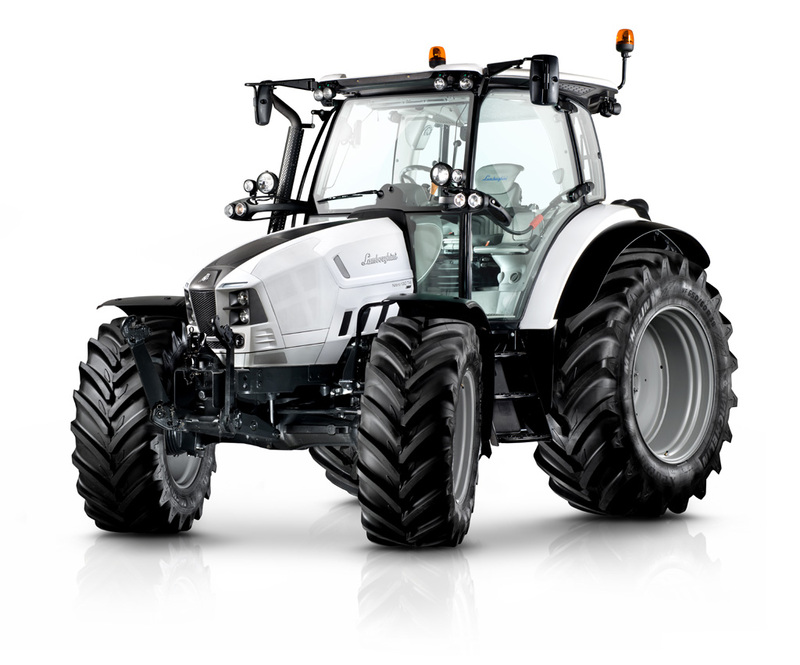 The Lamborghini Nitro 120 VRT tractor has been nominated for Tractor de España in the design category. In conjunction with the international trade fair FIMA 2016, the prize is awarded by a jury comprising specialised technicians in the agricultural mechanics industry (70%), popular vote (20%), and trade media (10%). Unique style by Giugiaro Design gives shape to an ambitious goal: to create a sense of exclusivity in a work machine. Eye-catching forms, an aggressive silhouette and sophisticated details. 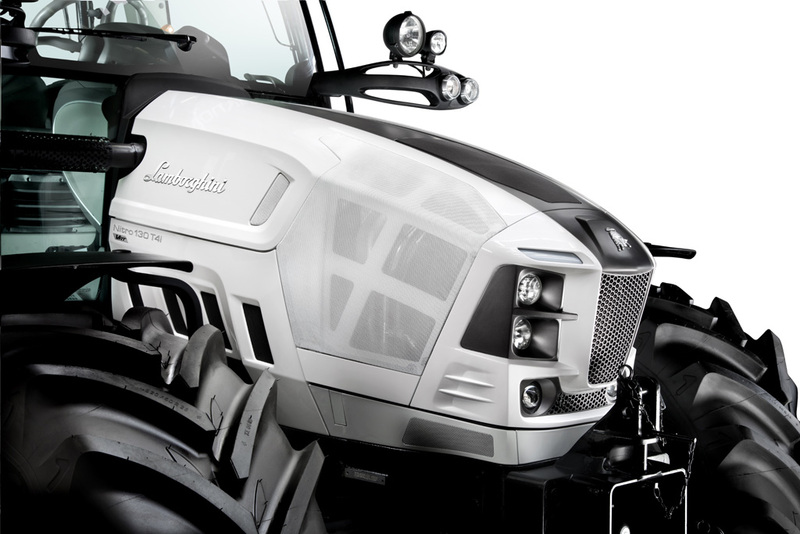 Pure design expressing the dual sided character of a tractor that is both potent and refined, sporty and elegant. 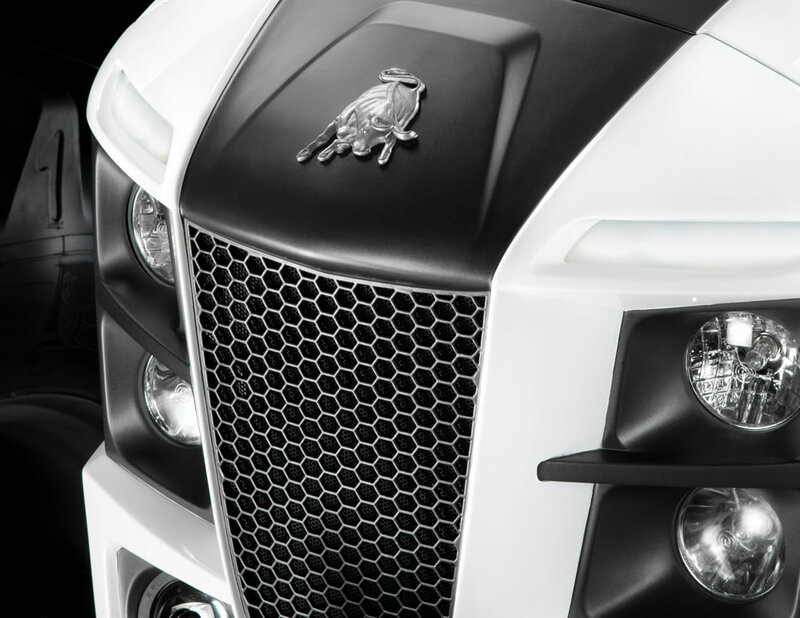 The all-new black and white colour scheme makes a bold impression, while the cab, integrated perfectly in the silhouette of the vehicle, boasts an ergonomic and sophisticated interior. 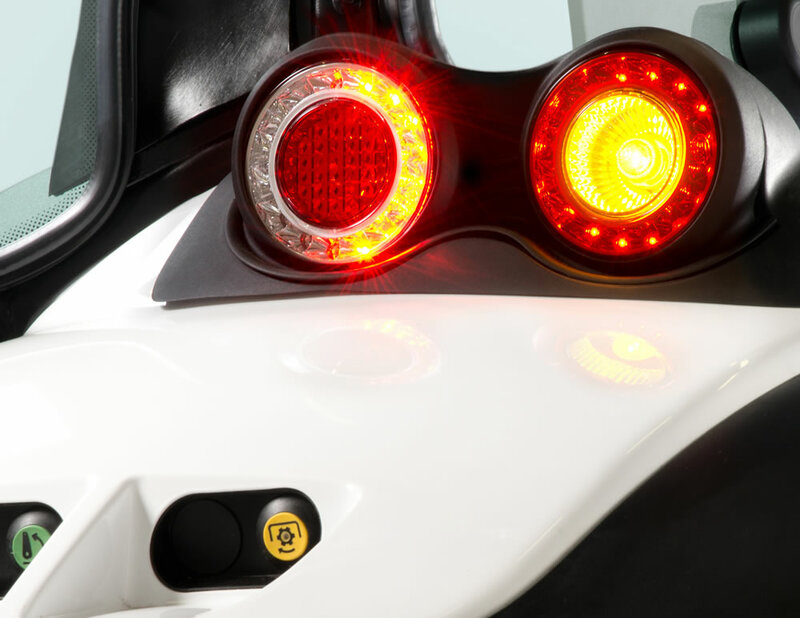 The final touch: dual LED taillights on the rear mudguards give the Nitro VRT an element of desirability. Class-beating engines: four-cylinder Deutz Tier 4i units combining great performance with excellent fuel economy. 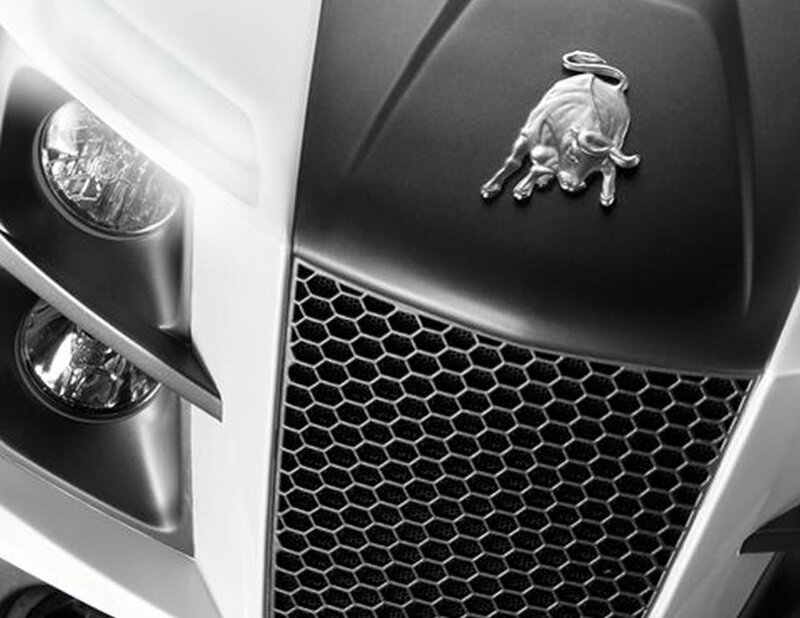 Developed specifically for the 100 to 130 HP power segment, these engines are a guarantee of tireless efficiency. With a capacity of 3,620 cc, high pressure common rail injection and turbocharger with intercooler, these engines deliver impressive power. An electronic engine governor regulates fuel delivery in relation to draft and load to optimise consumption, while EGR exhaust gas recirculation and a DOC catalytic converter work in concert to drastically reduce nitrogen oxide emissions. 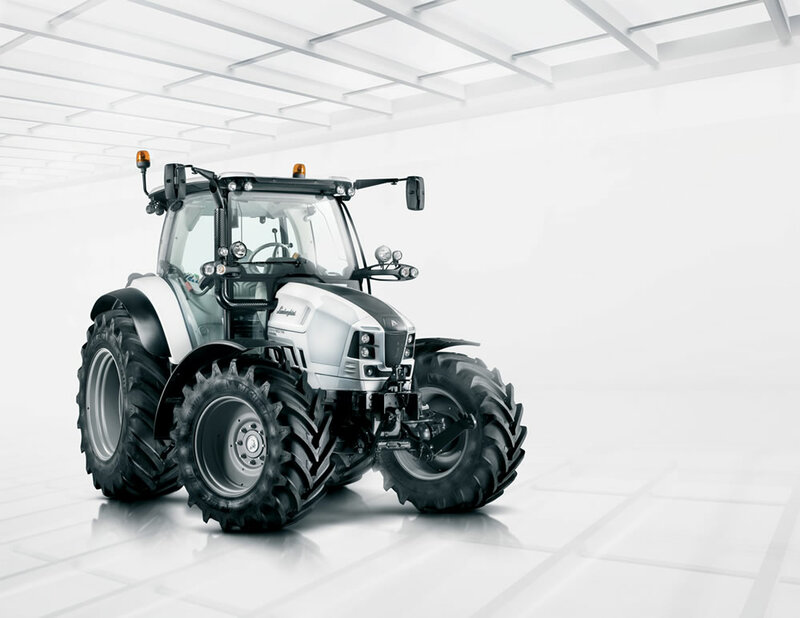 The continuously variable transmission makes this a multi-role, versatile tractor that is extraordinarily easy to use. 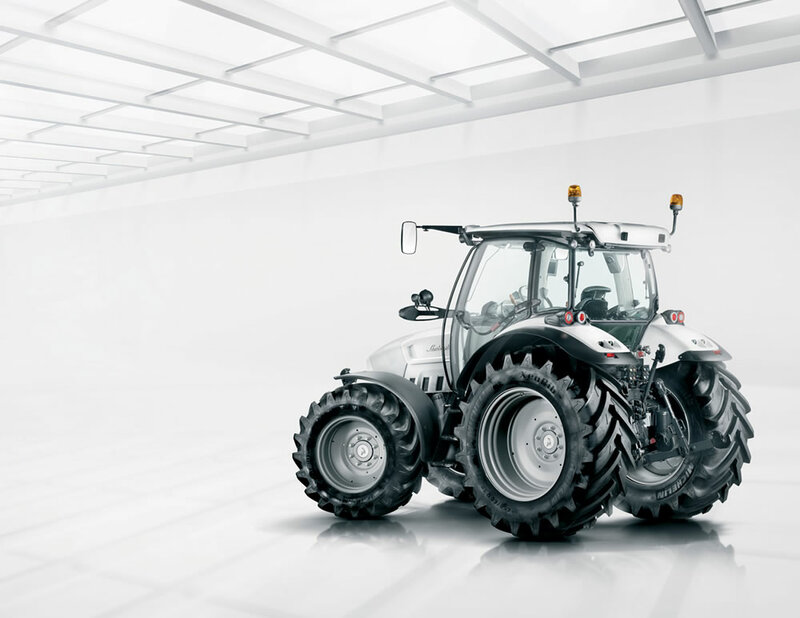 VRT continuously variable transmission with two speed ranges (0-25 and 0-50 Km/h) and selectable modes (AUTO, MANUAL, PTO), with Sense Clutch hydraulic reverse shuttle and Power Brake system. 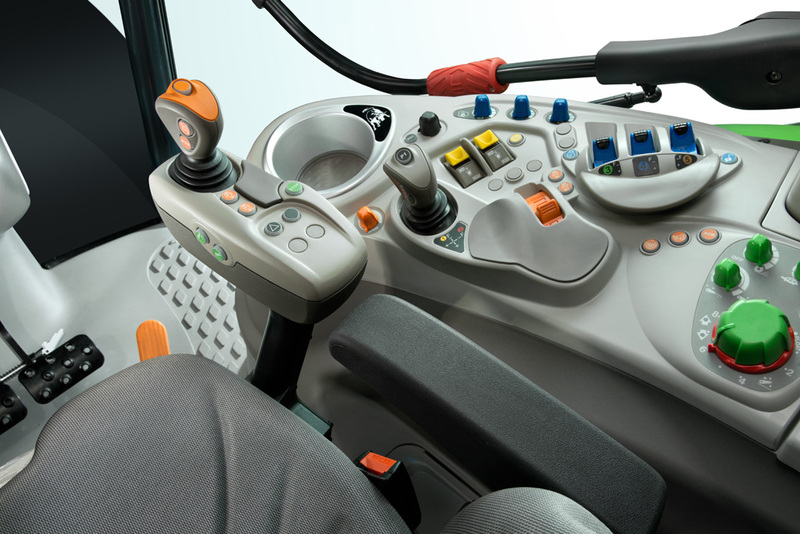 Boasting an electrohydraulically operated progressive independent multiplate wet clutch, the PTO (540/540ECO/1,000 rpm) is also highly versatile.Unparalleled driving comfort with the “Power Zero” stationary hold function and “Cruise Control”, which lets the driver set a desired speed for working in the field or driving on the public road. 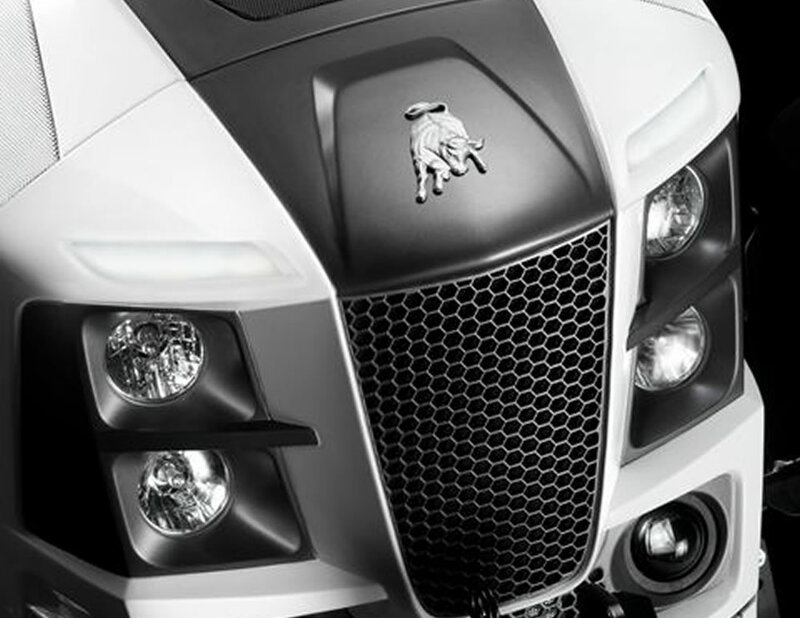 Three different hydraulic system configurations are offered, for maximum power with minimal strain on the engine. 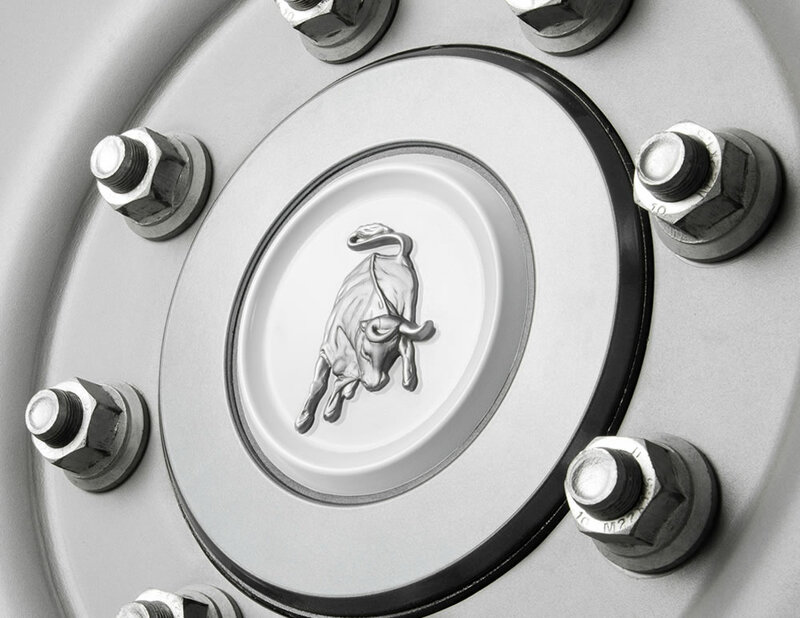 The configurations offered consist of a system with a single 60 l/min pump, a system with a dual 60 ECO pump (60 l/min available at 1,600 rpm), and a system with a 90 l/min pump and an Energy Saving function that allows the Lamborghini Nitro VRT to recover 2.7 hp. 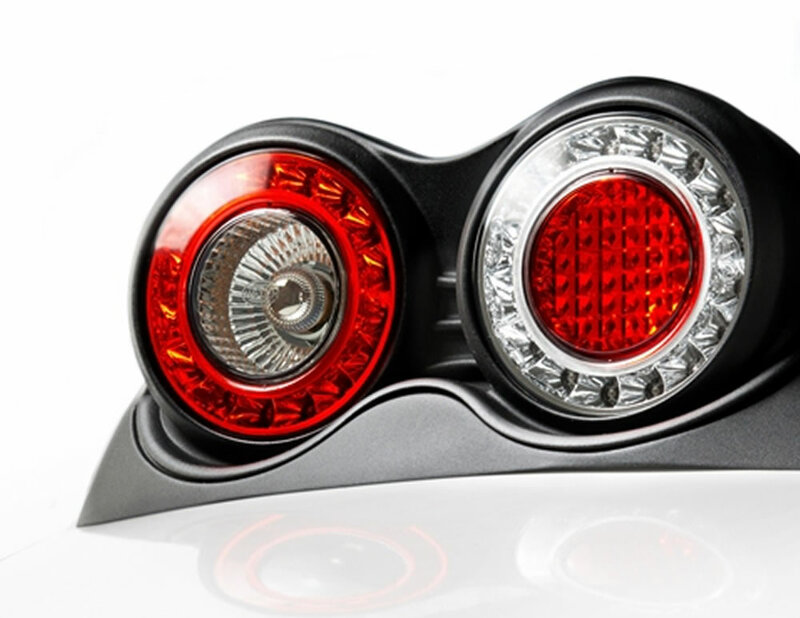 Completing the package are: an electronically controlled rear lift (offered with a capacity of 4,650 Kg or 6,600 Kg), mechanically and electronically controlled distributors, an independent steering circuit with SDD (Steering Double Displacement) system, and integral hydrostatic braking with oil bath disc brakes on all wheels. 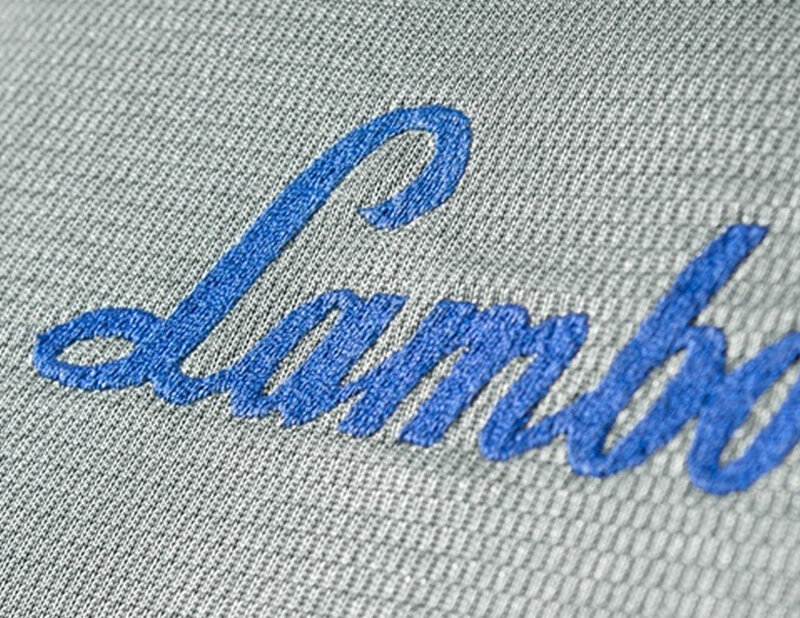 A comfortable, spacious, airy and soundproofed cab with climate control makes driving a pleasure, and a delight for the senses. Large, curved windows offer 360° of visibility for a clear and unobstructed view of the surrounding area. 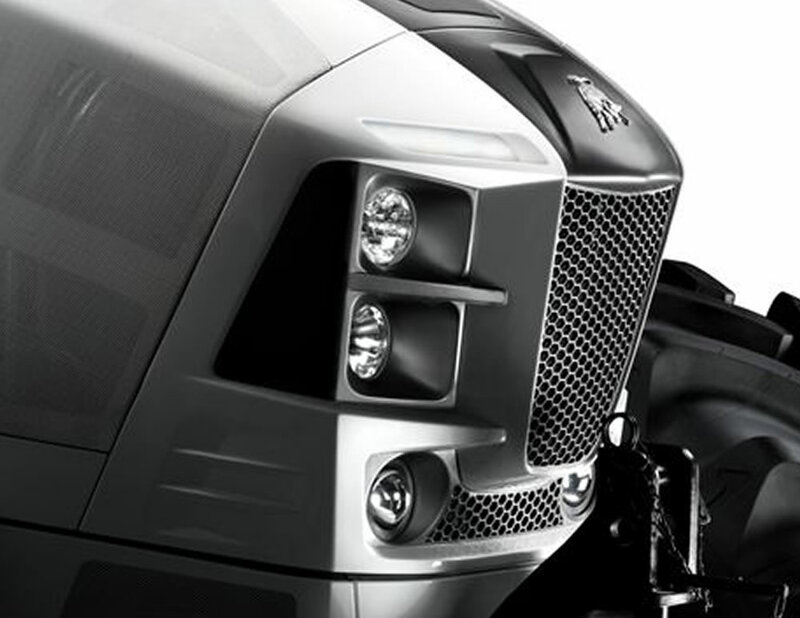 The cab is available with mechanical or air-sprung suspension, while the front axle boasts electronically controlled suspension conventional suspension. 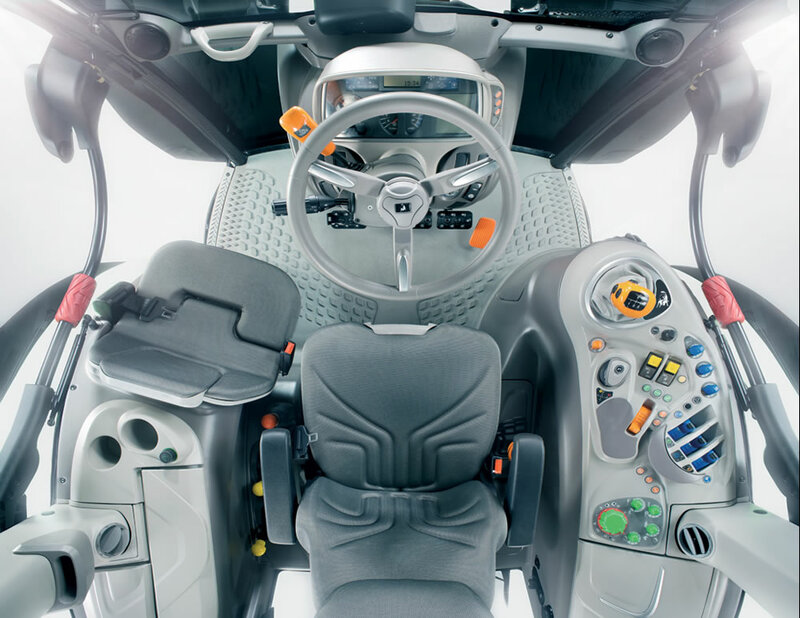 Inside the cab, which is tailored for maximum comfort, are not one but two automated vehicle control systems: The SDS function lets the driver save and recall sequences of up to 32 operations, while the ASM system automatically engages and disengages dual traction and the differential locks. VRT ASM transmission; sprung front axles and air-sprung cab suspension; Power Brake system. SDD steering system and hydraulic system with 90 l/min pump and electrohydraulic auxiliary distributors. Cab with automatic climate control, DELUXE driver seat and passenger seat. VRT transmission; four PTO and ISOBUS speeds. Hydraulic system with 90 l/min pump and electrohydraulic distributors. Rear lift with load capacity up to 6,600 Kg. VRT transmission; Power Brake system. SDD steering system. Rear lift with load capacity up to 6,600 Kg and radar system. Cab with mechanical suspension, climate control and passenger seat. Provision for installation of front loader (Light or Ready Kit) and 60ECO hydraulic system. Steering pump with SDD system. Cab with high visibility roof and FOPS protection. VRT transmission; Power Brake system. Sprung front axle. Cab with suspension, automatic climate control and passenger seat.